Construction of the new Fly Rod Crosby Heritage trail is finally under way! The first segment of this proposed 35 mile trail linking communities from Strong to Oquossoc in western Maine will stretch approximately 2.5 miles along Orbeton Stream in Madrid TWP. The Fly Rod Crosby Trail is a project of the High Peaks Alliance, a group of local people from the “High Peaks Region”, in the western mountains of Maine. A path along the Orbeton stream was chosen as the first segment in the Fly Rod Crosby Trail to be built because it complements the existing motorized multi-use trail along the river, giving users several options for loops and different experiences. Our volunteer of the month Devin Littlefield, a recent graduate of Mt. Abram high school and aspiring Maine Guide has been instrumental to laying out and now building this segment of footpath. The Fly Rod Crosby Trail will eventually be a heritage trail thematically linking communities in the Western Maine Mountains through the life and times of Cornelia “Fly Rod” Crosby. Crosby was the first registered Maine Guide and an early promoter of Western Maine as a tourism destination in the early 20th century. The trail itself will incorporate many pre-existing multi-use trails and also serve to link the communities of people managing those trails, as well as area historical societies, museums and points of interest. Trail users will be able to learn about local history and culture as well as access the back country which contributes to the quality of life we all enjoy in this part of western Maine. The High Peaks Alliance and Sandy River Land Trust have provided a small youth stipend for a volunteer to help build the first segment on the Fly Rod Crosby Trail this summer. Devin Littlefield, of Freeman, is a recent graduate of Mt Abram high school and an aspiring Maine Guide. He is off to college next year in Anchorage Alaska to pursue studies revolving around the outdoors. Devin volunteered to do 60+ hours of work this summer in the month of July to help plan and build the Fly Rod Crosby Trail. He was a tremendous help and we wish him well on his future exploits and adventures in Alaska. Would you like to do some trail work this summer? We would love to have you! 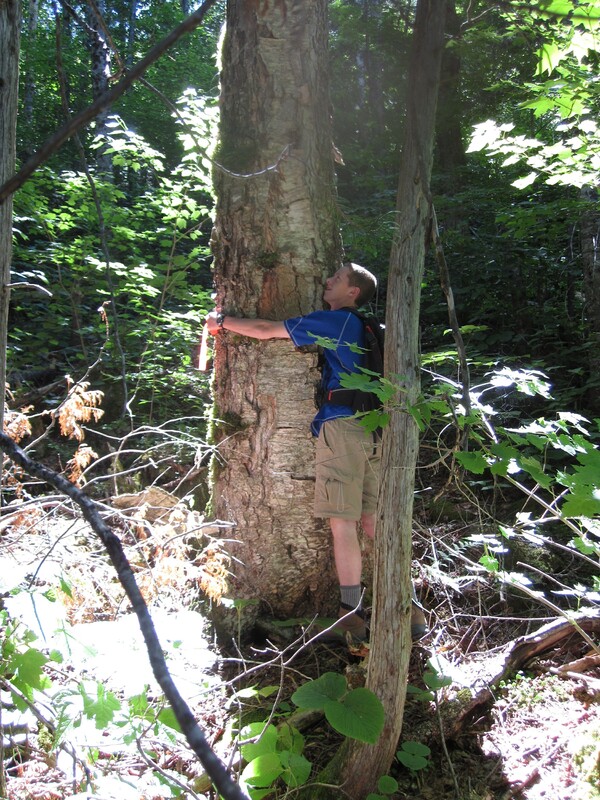 If you are interested in working on the trail, either at one of our upcoming volunteer work days or other times, please contact Ben Godsoe (Maine Conservation Corps) at bgodsoe.srlt@gmail.com or (207)578-0306.